There are no recent discussions to display. Please head to the Travel forums and start one. San Francisco-based Rickshaw Bagworks lets you custom-design your own messenger or commuter bag, tablet or computer sleeve, backpack, or zippered folio for travel documents. If you think the Sunshine State is nothing but strip malls and over-the-top amusement parks, you havent seen the real Florida. Pack up your clubs and try your luck on the exclusive green at the Tournament Players Club at Sawgrass. Sportfishing, pristine beaches, and wildlife on an island in the gulf. Lend your ears to Miami's eclectic music mix. Rick Searfoss, veteran mission specialist, helped design the new exhibit at the Kennedy Space Center, which won praise from former astronauts who got a test run. These days, Florida welcomes more than 87 million tourists a year, but five centuries ago, when Juan Ponce de Leon landed on what is now known as the east coast of Florida, visits from afar were rare. 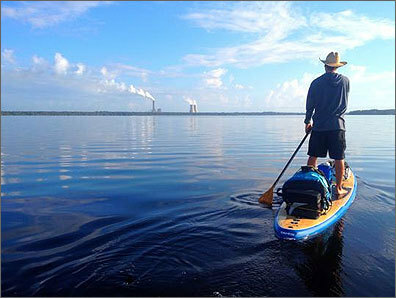 Here are five routes you can take to enjoy the natural beauty of The Sunshine State. The Morikami Museum and Japanese Gardens is a quiet hidden gem set on 16 acres of a 200-acre property in what was once Florida pineapple country. The cast of characters in Apalachicola, Fla. The sleepy Florida panhandle village is unique for nutrient-rich waters that harbor sweet wild shrimp and all the wild oysters still tong-harvested in the United States. Fall festivals and holiday fun from Key Largo to Key West. The Reef Restoration Foundation is one of a burgeoning number of organizations trying to re-forest reefs by tapping the free labor of scuba divers looking to vacation for a cause. After Vinny and Julie Ciulla bought the Umbrella House in 2005, fans of famed mid-century-modern architect Paul Rudolph started knocking on their door asking to see the inside. Venice, Fla., the city 30 minutes south of Sarasota, has a core population of 22,000 which grows by a third during the winter months. What clam chowder is to Bostonians, the grouper sandwich is to folks in the Tampa Bay area.